Population: 11,200. 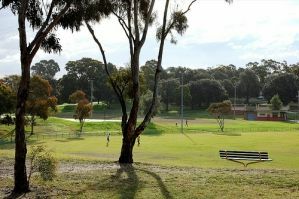 Penshurst is located 17 kilometres south of the Sydney CBD and is part of the St George region, lying across the local government area of the City of Hurstville. Penshurst was named after Penshurst, Kent, England. Originally part of the land grant to Robert Townson, John Connell acquired the land in 1830 and left it to his grandsons J C and E P Laycock. Connell’s Bush was subdivided by the Laycocks and the western part sold to Thomas Mort (Mortdale). A large portion of Penshurst located south of the railway line is referred to as the McRae’s Estate, as it was once owned by the MacRae family. Land was used mainly for farming and timber, and growth was minimal until the 1880’s following the construction of the railway line. Expansion continued during the 1920’s, the interwar period and the immediate post-war years. Penshurst is an established residential area, with a small commercial area near the railway station. The area contains an array of dwelling styles including a number of prestige properties in the popular McRae’s Estate, original and renovated federation homes, and a large number of new and original residential units. The laid-back lifestyle of Penshurst with its easy access to shopping, restaurants and transport makes it an attractive location for busy families, singles and empty nesters. The local RSL Club sports an active Youth Club (penshurstrsl.com.au/sponsorclubnew) amongst a wide variety of other sporting clubs, dance schools and musical tuition offered in the area. Residents are lucky enough to have their own local library (librarything.com/venue/4926/Penshurst-Branch-Library-Hurstville-City-Library-) and the Pole Depot Neighbourhood Centre (poledepot.org) provides many vital services to the local community including child care and provisions for seniors and those with disabilities. There are plenty of activities for adults too including a variety of cafes and restaurants in the main shopping centre, a state of the art Aquatic Centre (hurstvilleaquatic.com.au), tennis courts (atpca.com.au/lorandszucs.asp), and Penshurst is just a stones-throw from the busy hub of Hurstville and Westfield Shoppingtown (westfield.com.au/hurstville).